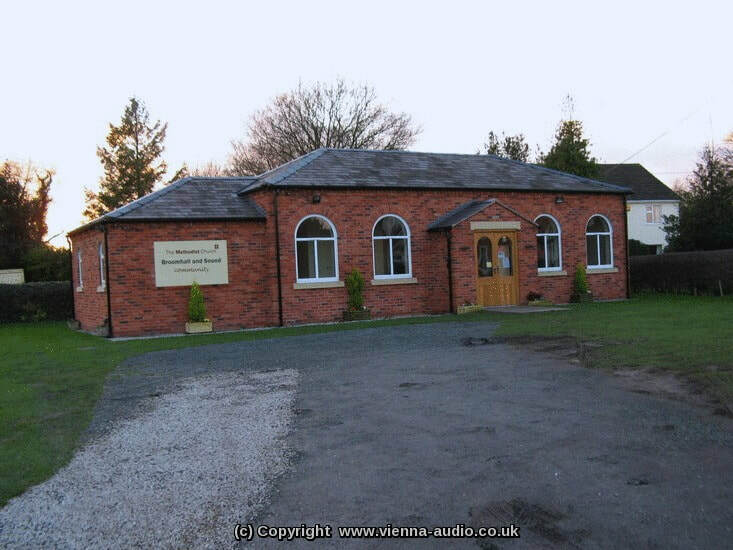 Broomhall and Sound Methodist Chapel, nr Nantwich, in Cheshire ~ a very nice countryside village Chapel ~ have chosen VIENNA Audio (UK) Ltd to Design and install a Specialist Church Sound System, into this lovely community Church building. Working closely with the Church PCC and team, and having gone through a full Installation consultation, the complete System was Specialist installed into their very nice village Chapel and combined new Community Centre building. 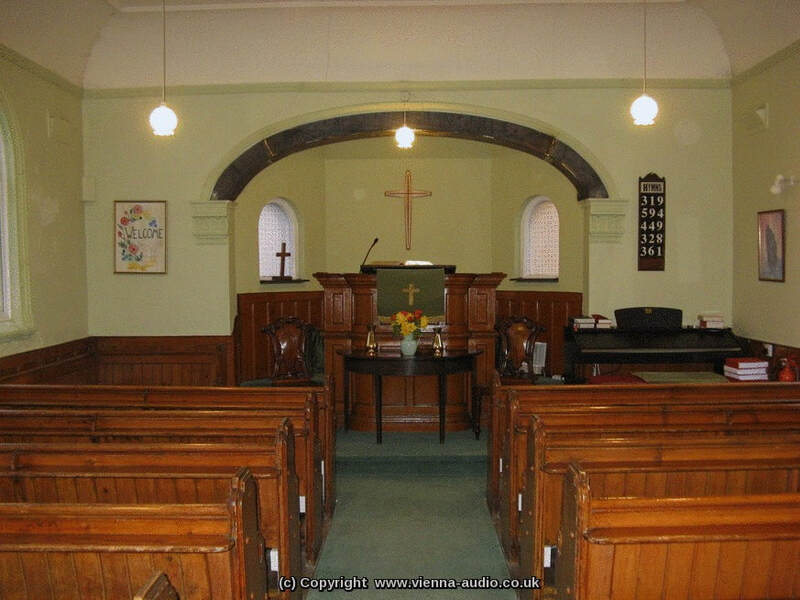 We have designed & installed a High-specification Church Sound System, including Radio Microphone Systems, a comprehensive Control Unit, Pulpit microphone, a multi-input Music replay System, a number of Worship Microphones & Instrument inputs, and various Zoned Loudspeaker Systems, to serve their village Church congregation. We have also Designed & supplied an overflow Loudspeaker facility for their community packed out Services, where people would also be listening outside in their Marquee / or Car park area! This adds yet another successful Church Sound System Installation to our increasing Specialist portfolio across Cheshire, Shropshire, Wirral & North Wales.